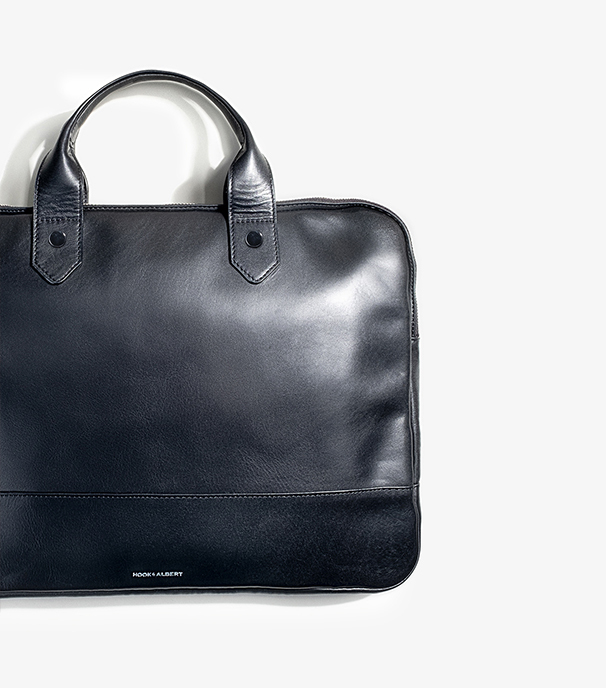 Introducing a new briefcase for the minimalist traveler. 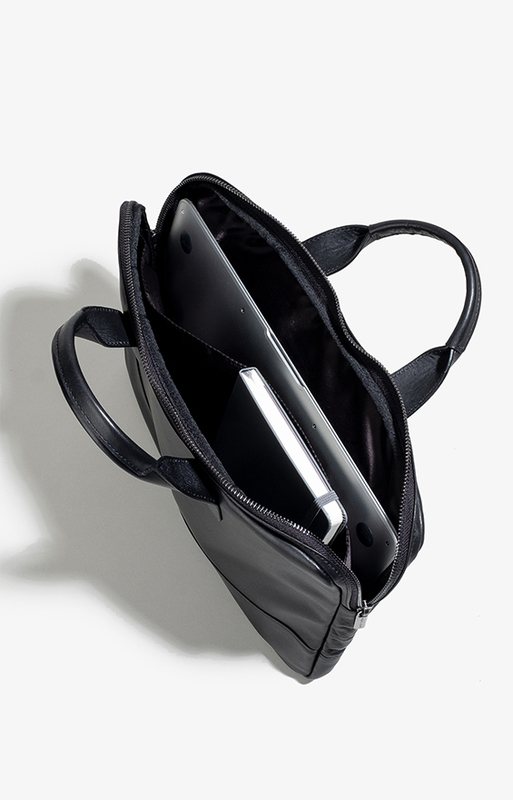 Made of luxurious top-grain smooth leather, our padded Slim Briefcase holds up to a 13-inch laptop and features an interior zipper pocket, an interior slip pocket, a divider for separating documents from your computer, and two pen pockets. The tapered handles make holding the bag effortless and comfortable, and durable zippers make sure it will last for a lifetime.